Weddings are momentous celebrations and should be planned carefully. Koh Samui has established itself as a wedding capital over the years. Naturally beautiful and rich in stunning beaches, it is a favourite holiday destination of those with discerning tastes and a top choice of those who are longing for an exotic place to tie the knot. Nowadays, it is not uncommon for couples to merge getting married with an extended vacation. In this fast-paced life, we all need a break. What better way to chill than saying your vows in an exotic location that is far from work, with all your favourite people with you? Koh Samui weddings are known to be romantic, scenic, and truly unforgettable. While on the island, you have the option to choose a venue that is most suitable for you. There are small venues for intimate weddings just family and a number of friends. There are also grand venues for supersize weddings. The Koh Samui wedding venues can also be chosen to meet your budget. Because the cost of getting married in Thailand is much less as compared to other wedding destinations in the world, here you can get married even if your budget is not that big. The reason why weddings in Koh Samui are a hit is that the warm weather and the beach setting instantly put the couple and their guests on vacation mode. We all know that planning for a wedding can be stressful and a bit overwhelming. The laidback vibe of the island is very helpful in relieving a couple of the stress they may be having so everything goes smoothly and everyone gets to have more fun. 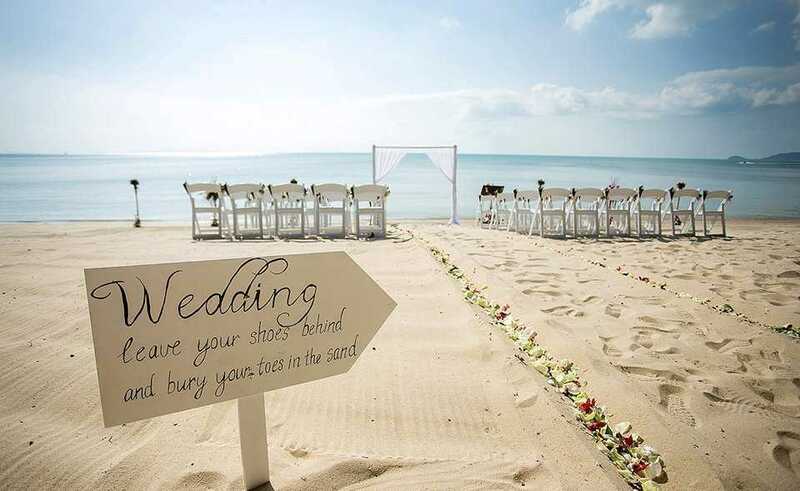 Generally, Koh Samui weddings can be made hassle-free. It is advised that you look for a wedding planner if you are interested in tying the knot in Samui. A local wedding coordinator knows everything there is to know in planning beautiful island weddings. The wedding coordinator has all the contacts---for the venues, flowers, band, food, and even for the legal documents concerning the marital ceremony.